While Australian Vogue opted for a reprint for its November cover, reusing Blake Lively’s shoot from U.S. Vogue‘s August issue, ELLE boldly produced an original shoot with one of the country’s top models. 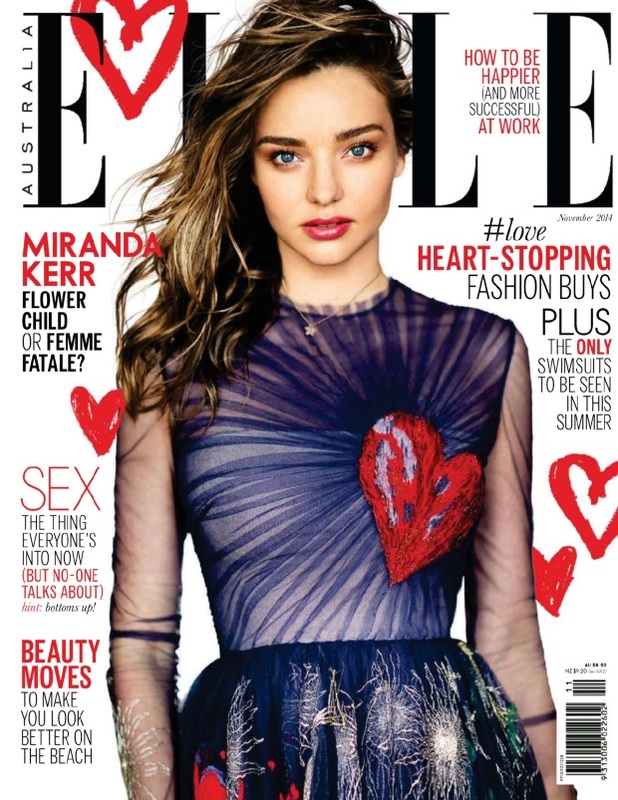 Aussie beauty Miranda Kerr looks flawless on ELLE’s November cover with tousled hair styled to one side, while wearing a sheer Valentino dress. Patrick Shaw also shot Miranda for a series of images inside the issue. Our forum members were quick to discuss the cover when it surfaced. “Miranda looks good here and I like the dress. All those other hearts really are unnecessary if they’re doing so much text. I’d like to hear her take on the Bloom/Bieber drama, though she’ll probably keep quiet,” wrote Benn98. Forum member kokobombon didn’t appreciate it either and simply posted, “Silly layout,” inside the thread. “The hearts are really unnecessary,” agreed GlamorousBoy. Are magazines stuck in a rut with Miranda? Are you a fan of the layout? Share your own opinion and check out the fashion content of ELLE Australia’s November issue inside the thread here.